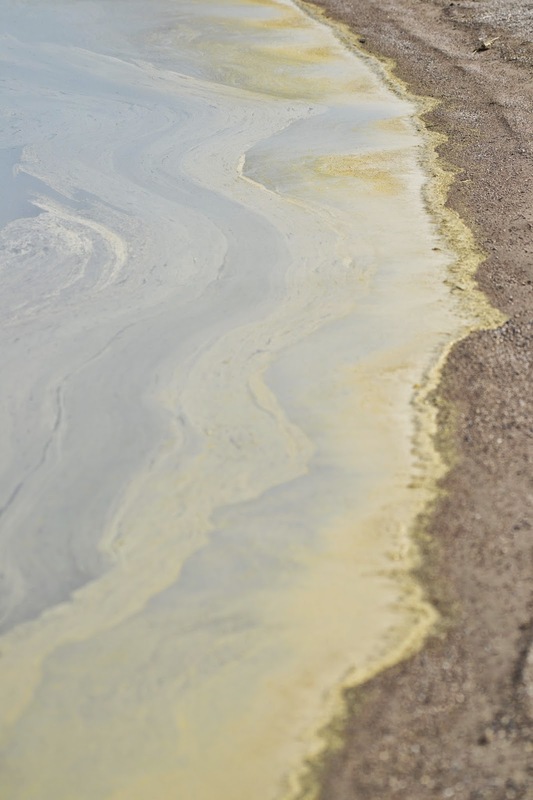 A multimillion-dollar plan to help save Lake Winnipeg by reducing the blue-green algae poisoning the lake was announced Wednesday by the Manitoba government. Details here. Related: Dangerous Ditches. Manitoba’s “war on weeds” comes complete with powerful herbicides, questionable spraying practices and collateral damage. Scum on Lake Winnipeg. PLT photo. The government giveth & the government taketh away. I see there's no mention of changing the same government's policy of systematically killing "weeds" in ditches which often include cattails, a very useful "weed" in the removal of nutrients. CONNTECT THE DOTS, Mr. Premier! The Manitoba Pork Council says managing their manure is too expensive. For the benefit of the hog producers, the province has a phosphorus limit of over 800 pounds per acre. Most crops grown in Manitoba require about 2 to 2.75 % of that amount to mature. Guess where the rest of the excess will eventually end up? Our Water sources and Lake Winnipeg. …….good guess. Lake waters need the freedom to flow, something that has not happened since the Jen-Peg dam and the Hecla Island causeway was put in place. Lake Winnipeg, like the toilet bowl in modern bathrooms homes of today has a requirement to be flushed, but that is not possible. Our past governments and engineers have taken away that option. Lake Winnipeg can no longer cleanse itself. And Blue-Green algae will eventually kill these waters. What a terrible price we pay, ….for "progress"